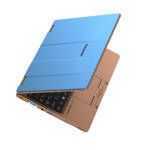 The U2142 Masterclass Ultrabook has an 11.6-inch 1366×768 display which can swivel around and fold down over the keyboard to be used as a tablet. 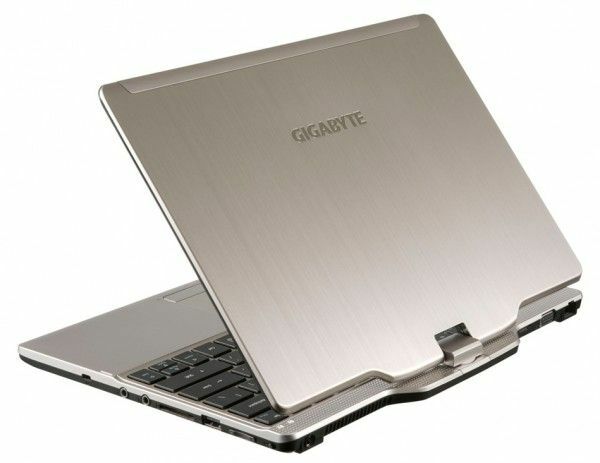 Gigabyte has experience with this form-factor and we’re glad to see it coming to their Ultrabook portfolio. 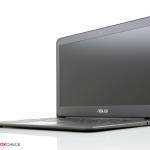 The Ultrabook is offered with an Ivy Bridge Intel Core i3-3217U or i5-3317U processor and up to 8GB of RAM (though it supports up to 16GB). The unit weighs in at 1.39 kg which is a bit heavy for an 11.6-inch Ultrabook, but still light compared to many standard laptops; it barely skirts Intel’s maximum thickness limit at just under 20mm (again, still thin compared to most laptops!). Gigabyte says that you can equip the U2142 with up to 256GB of SSD storage and an additional 1TB of HDD space, though that sounds a bit fishy given that we’re looking at an 11.6-inch chassis! Ports are amazing for an 11.6-inch device (and better than most 13-inch Ultrabooks): 2xUSB 3.0, 2xUSB 2.0, full VGA, full HDMI, full SD, ethernet (appears to need an adapter), 3.5mm mic, 3.5mm headphone. We got our hands on the U2442 gaming Ultrabook back in October (review here), it is an absolute mobile powerhouse. 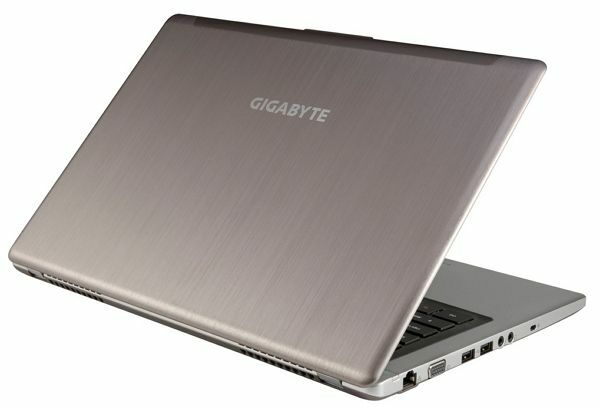 Now Gigabyte is making it even more powerful by upgrading the GPU and adding a touchscreen. The U2442DT will feature the Nvidia GeForce GT 730m which is relatively unspecified at the moment. 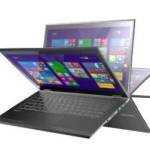 They’re also adding a touchscreen for use with Windows 8. Other than these additions, it’s that same U2442: a 14-inch display with 1600×900 resolution, equipped with either an Ivy Bridge Core i5 or Core i7 processor, and 8GB of RAM. Ports are again excellent: 2x USB 2.0, 2x USB 3.0, full VGA, full HDMI, full SD, 3.5mm mic, 3.5mm headphone, full LAN/ethernet (RJ45). Weight is 1.6 kg. If you are looking for portable power in an Ultrabook, the U2442V should be at the top of your list. The design is solid and the insides are packed full of performance components. The backlit keyboard is a pleasure to type on, though there are some quirks with the trackpad that need to be ironed out. The SSD screams along with tremendously fast transfer speeds and the discrete Nvidia GT 640M graphics are capable of more than doubling graphical performance when compared to integrated HD4000. For every-day mobility we’d prefer something lighter and smaller, but the U2442V is a great desk-to-desk powerhouse, a role that is complimented by the unit’s excellent port set. Pricing and release date of the U2142 and U2442DT have yet to be announced but we hope to see them soon… after all, next-gen Haswell Ultrabooks are already on the way! No Displayport – not amazing. 1600×900…not amazing. is it a TN or an IPS panel?